SANTA LUPITA was born in 2014 to take the colourful and high quality richness of handmade fashion from Mexico to the rest of the world. The brand offers an alternative for cosmopolitan fashionistas looking for uniqueness and elaborate garments that differ from today ́s mass production. All SANTA LUPITA items are hand woven and hand embroidered and have been carefully designed to fulfill all expectations of the fashion-conscious. All designs are inspired by traditional Mexican patterns, colours and structures and are created in close cooperation with indigenous artisans and fashion experts from all across Mexico. SANTA LUPITA is more than fashion though. We are committed to preserving cultural heritage by passing traditions from one generation to the next one. Our goal is to help local artisans develop their one-of-a-kind handcraft by sharing with customers all over the world this unique and century-old tradition. Therefore, every single item by SANTA LUPITA is a colourful expression of Mexico´s rich cultural heritage. The result is high quality handcrafted Folk fashion and home accessories with a traditional yet modern identity. SANTA LUPITA is a Germany-based company. The entire design and production takes place in Mexico and all inputs are sourced there. 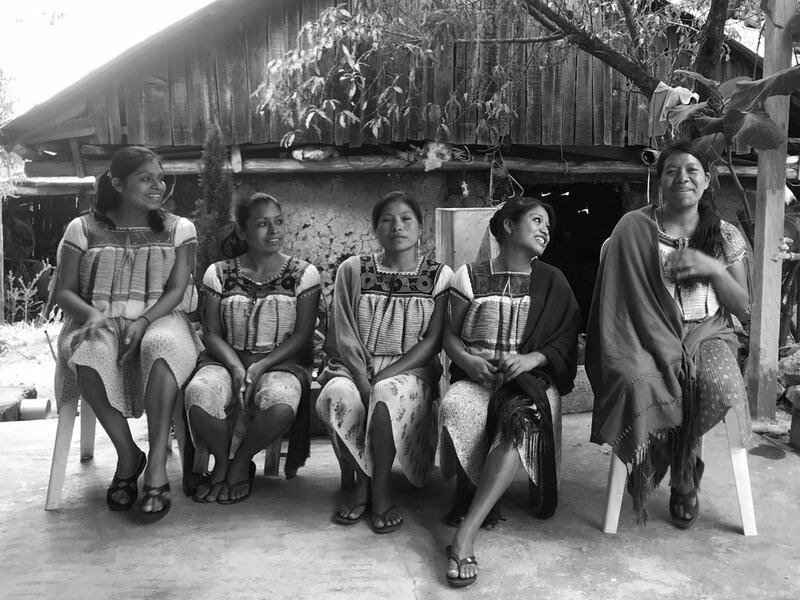 We work with more than 100 artisans in 17 remote communities all across Mexico. More than 95% of the production gets exported worldwide. SANTA LUPITA has travelled throughout Mexico, not only to find the most elaborate and beautiful garments, but also to understand how this tradition has developed and what its current challenges are. Hand weaving and embroidery have been passed from one Mexican generation to another for centuries, representing one of the country ́s major cultural conservators. Due to its geography and climate variety, Mexican fashion is diverse in styles, fabrics and colours. One of the most striking elements is the absence of synthetic fibres and the continuous use of natural colours, which are still produced in remote areas. Basically, the whole production process takes place at private homes, where artisan women not only embroider and weave as a hobby, but also take care of their families and have the responsibility of their households. However, in times of mass production and high price sensitivity, this tradition has been abandoned by many artisans who cannot afford a decent living with only this activity. Thus, high quality Mexican Folk fashion is at risk of being lost. SANTA LUPITA is a major effort to establish new market opportunities for Mexican artisans. Our goal is to raise the awareness of the international fashion scene in order to guarantee the attractiveness of this tradition and consequently, making a contribution to preserve it. SANTA LUPITA creates contemporary and colourful yet traditional uniqueness to wear for a liberal, cosmopolitan and fashion-conscious generation. As an alternative to mass production we highlight the real value of handcrafted fashion: traditional and handmade is glamorous! By opening up the international fashion market to low-scale Mexican producers and building up a solid customer base we aim at fostering their entrepreneurial activity. Furthermore, SANTA LUPITA promotes work-life balance for women in remote areas. Each item is handcrafted by one artisan at her own home. This way, artisans in rural areas are incorporated into the workforce without being forced to abandon their communities: no central factories, no sweatshops! Only traditional production techniques are implemented. All items are hand-woven, hand-embroidered and /or hand sewn. All fabrics and inputs are supplied by SANTA LUPITA to the artisans. Our responsibility is to guarantee that all our suppliers fulfil the same standards we are committed to. Our high quality is fully based on natural fibres to reduce our impact on climate change. Selected collections will be coloured with natural inks too.